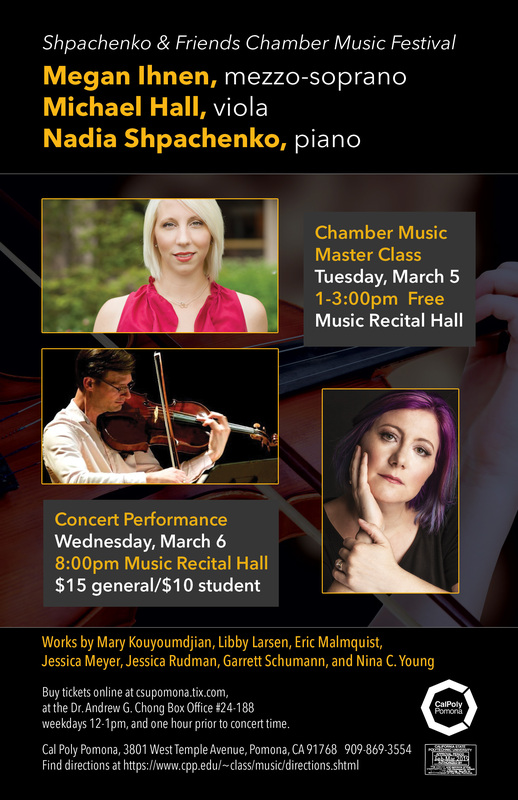 Contemporary duo and trio works with Megan Ihnen, mezzo-soprano and Michael Hall, viola. Contemporary voice, viola, and piano pieces by Mary Kouyoumdjian, Libby Larsen, Eric Malmquist, Jessica Meyer, Jessica Rudman, Garrett Schumann, and Nina C. Young, and others. Texts: Anon., Alicia Vasquez, Martha Cooper, and Ted Berrigan.